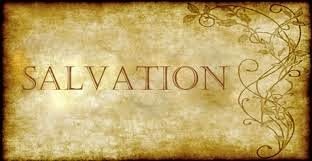 Salvation is the most intimate, personal experience a human can have. A Personal Encounter – In Matthew 16:13-18, Jesus and Peter came face to face. There was no mediator; no priest, no Pastor, no ceremony and no special prayer – and when you come to Jesus there is nothing between you and Him. There is but one way to the Kingdom of Heaven and that is through the door, which is not a church or doctrine but Jesus. You can join a church, go through a class or religious ceremony and repeat a special prayer of salvation a hundred times and come out exactly the same as you were before. But, when you come to Him and truly encounter Jesus personally, you cannot help being totally and completely changed. THAT is radical conversion. A Personal Revelation – Every true believer experiences a personal revelation as to the truth of who Jesus is. In Matthew 16:17, Jesus explains that this revelation is not given by flesh and blood but from the Father (by conviction of the Holy Spirit). We cannot perceive this revelation by way of our natural senses, instinct, intellect or intuition. This is a revelation that cuts through like a knife, a bolt of lightning and is instantly revealing in perfect sense. No one can truly know Jesus without this personal revelation. You can go to a seminary or Bible college and study til your blue in the face and even come out an ordained minister and minister for years – but without a personal revelation of Jesus and who He truly is in your life you cannot know Him. This is the leading element behind Matthew 7: 21-23, Jesus telling the ones who cast out demons and healed the sick, “I never knew you”. It is absolutely imperative that each of us experience this personal revelation – which comes from the Father, by the conviction of the Holy Spirit and through the Son. A Personal Response – We must acknowledge what the Holy Spirit has revealed to us. This is not automatic but voluntary. It requires action on our part, such as repentance. In repenting for sins, WE take the initiative and submit ourselves to Christ - and without repentance there can be no salvation. A Public Confession – We publicly confess our faith in Jesus. This is exactly what Peter did when he confessed Jesus as the Messiah and the Son of God. Romans 10:9-10 tells us that this is a necessary step to salvation. Anyone who does not take active part in the last two, has not experienced the first two. They have not experienced the personal, face-to-face with Jesus and had the revelation of who He truly is as the Son of the Most High God. When you experience these things, you can't help falling on your knees before Him and shouting from the rooftops - Jesus is Lord!